About: PowerCube is a practical designer socket and extension plug, which has won the prestigious Red Dot Design Award for product design. Task: The Czech representative of PowerCube approached? us with a request to arrange media and influencer publicity over the holiday season. 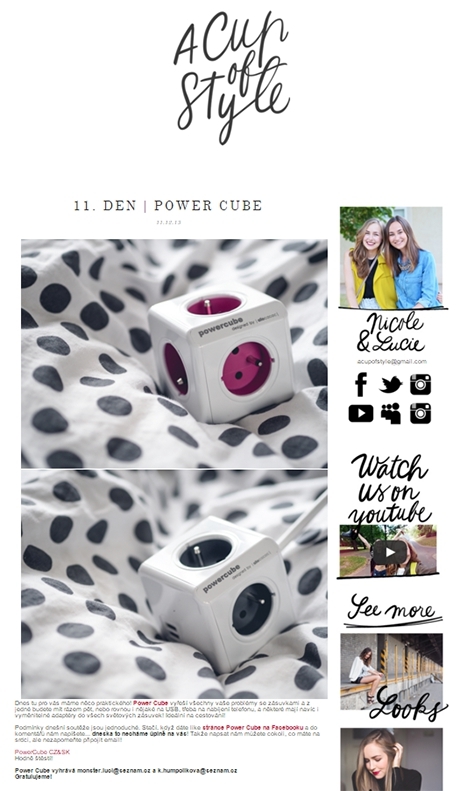 Considering the nature of the product, the aim was to introduce PowerCube as a perfect Christmas present for everybody, particularly in media with the broadest and most varied reader base. The campaign involved comprehensive management and content creation for social networks, including administration of paid campaigns. 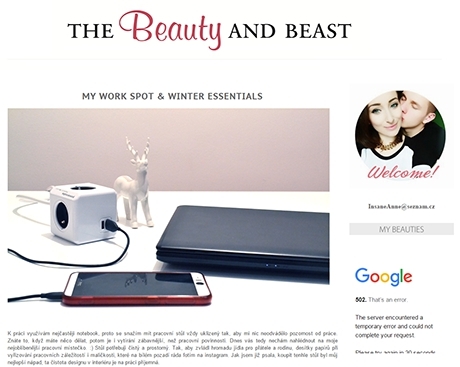 Results: In the period from the start of communication in September to December 2015, we arranged 20 media opportunities and 12 blog posts and posts on social networks by influencer bloggers. During the pre-Christmas holiday period, we achieved the greatest impact through our outputs in media such as Novinky.cz, Ihned.cz, Právo, Maxim or 21. století. Among bloggers, we greatly appreciate our co-operation with fashion bloggers, namely The Czech Chicks and the A Cup of Style sisters.